Albergo Enrica is located in a historic building with garden, near Rome's Sapienza University. All rooms overlook the garden and offer air conditioning and free Wi-Fi. The Enrica's rooms also feature a fridge. Breakfast is served on site and includes a cappuccino and a croissant, served on request. 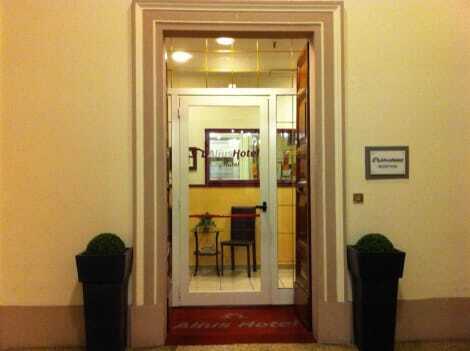 Albergo Enrica is a 5-minute walk from both Castro Pretorio Metro Station, on line B, and Roma Termini Train Station. Enjoy Italian cuisine at Ristorante Cotto, a restaurant where you can enjoy drinks at the bar and dine alfresco. Or stay in and take advantage of the room service (during limited hours). Buffet breakfasts are available daily from 7:30 AM to 10:00 AM for a fee. 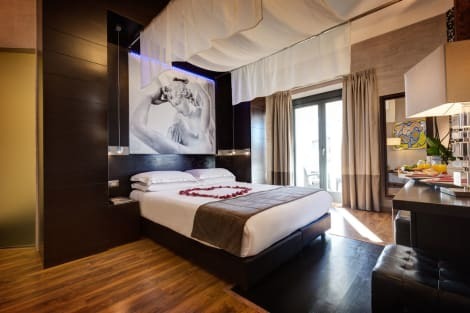 A stay at Hotel Rome Love places you in the heart of Rome, within a 15-minute walk of Colosseum and Roman Forum. This hotel is 0.4 mi (0.6 km) from Basilica di Santa Maria Maggiore and 0.6 mi (1 km) from Basilica di San Giovanni in Laterano. Make yourself at home in one of the 10 air-conditioned guestrooms. Complimentary wireless Internet access is available to keep you connected. Bathrooms have showers and hair dryers. Conveniences include desks and coffee/tea makers, and housekeeping is provided daily.